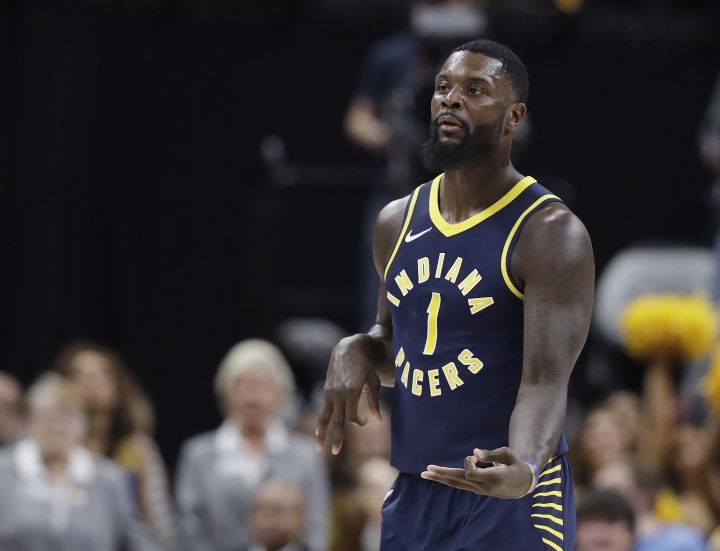 INDIANAPOLIS — When Indiana Pacers coach Nate McMillan went small Friday night, Lance Stephenson came up big. He baited LeBron James into a late technical foul. 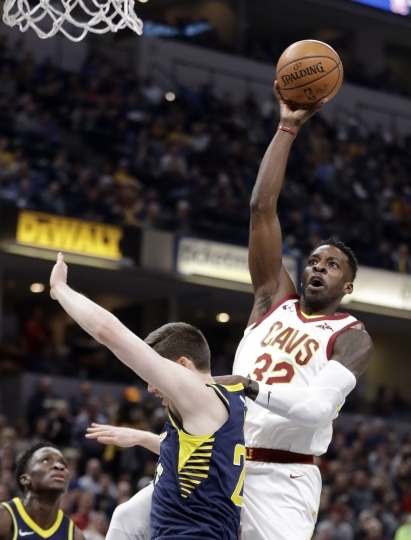 He made play after play down the stretch and when the game was over the Pacers' showman was celebrating. 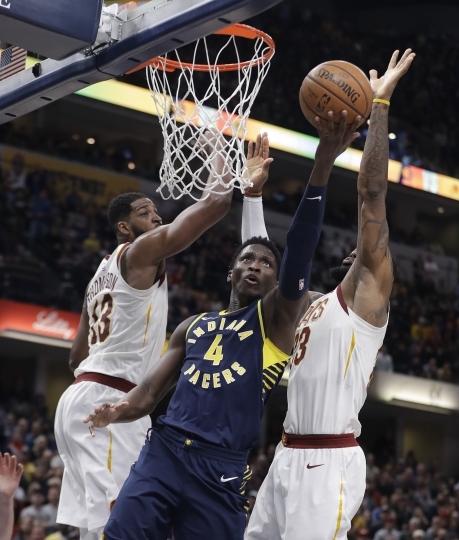 Stephenson had 16 points and 11 rebounds to help Indiana erase a 22-point, first-half deficit and beat Cleveland 97-95. 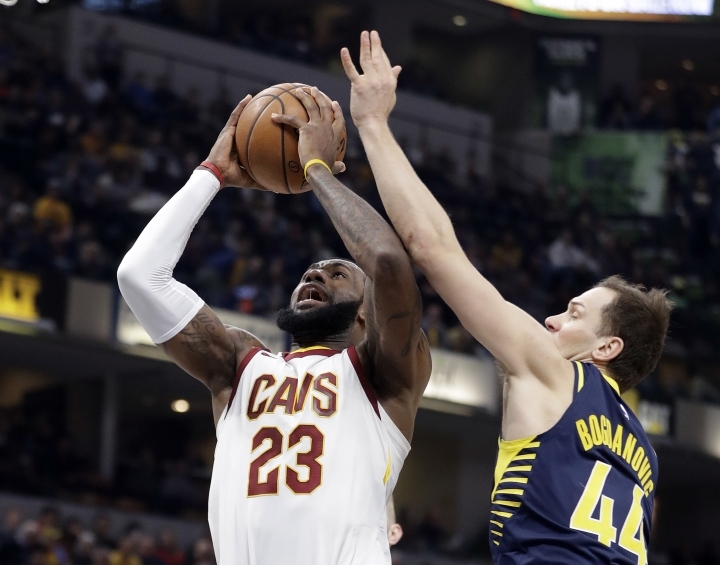 It's the Pacers' third win this season over the three-time defending Eastern Conference champs. "It feels good, but it's a long season," a more subdued Stephenson said in the locker room. "They're a tough team but we came out and played smart defense and made the right plays." But the guy with a knack for getting inside opponents' heads with unthinkable stunts, like blowing in James' ear or giving him a thumb in the side — as television replays showed during the game — played the instigator perfectly. 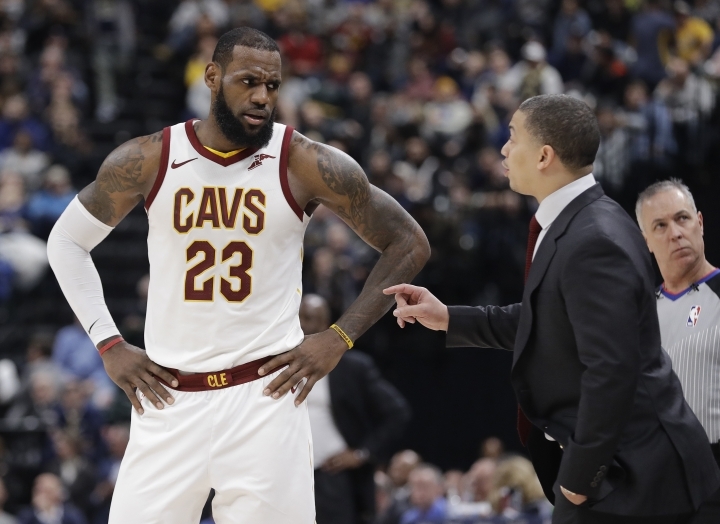 James had 27 points, 11 assists, eight rebounds and was called for a technical foul after reacting to Stephenson's jab by shoving him in the chest. Oladipo made the free throw to give Indiana an 84-82 lead with 7:53 to go, a costly point. The four-time MVP wasn't amused. "Lance is just a little dirty, that's all. He's a little dirty," James said. "I should have known, I've known since school, it's not the guy who tells the joke that gets caught it's the guy who laughs. They caught me on the retaliation. He played well, though." The result: Indiana, which trailed 26-6 about eight minutes into the game and still trailed 72-60 with 5:23 left in the third, rallied. 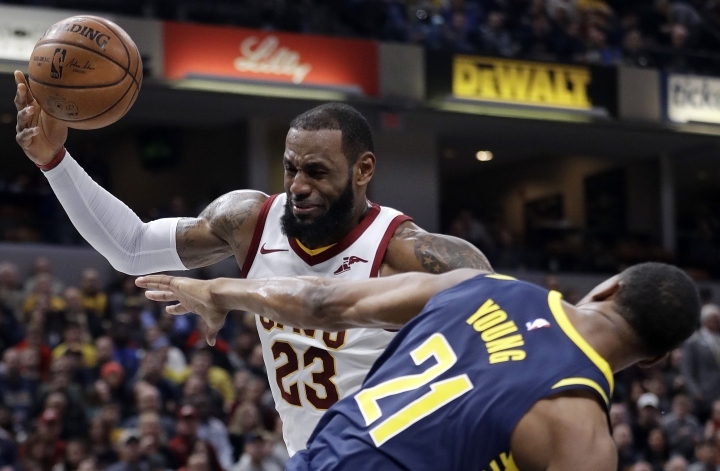 Indiana shut out the Cavs over the final 3:57 and twice stopped James when he could have given the Cavs the lead. Oladipo's 3 with 2:10 left gave Indiana the lead for good. James then had two chances to give Cleveland the lead in the final 2 seconds. First, a switch by Collison forced James out of bounds on a baseline drive 1.7 seconds to go. Then, James' desperation 3 bounced high off the rim. "It's hard to get into his head, but tonight was (different)," Stephenson said. "Just playing against the best player in the league, trying to win against them. There are a lot of fans coming out to support him, so I just try to get his fans mad, too." Cavaliers: Kevin Love had 21 points and 10 assists and Jeff Green added 13 points, all in the first half. ... ... 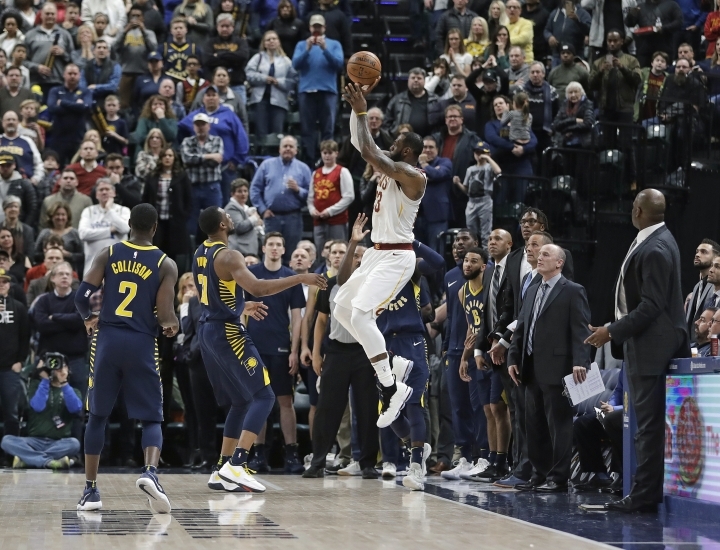 The Cavs were 7 of 34 from 3-point range and wound up shooting 43 percent overall after shooting 59.1 percent in the first quarter. ... Love went over the 7,000-rebound mark during the game and now has 7,007. ... It's the first time in 10 Central Division games Cleveland failed to score at least 100. 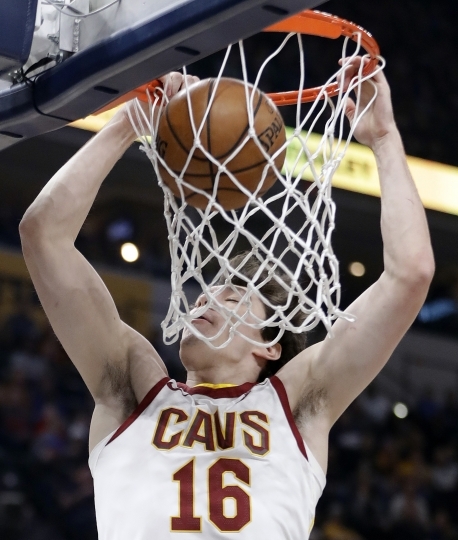 The Cavs are 0-3 against Indiana and 6--1 against everyone else in the division. ... Cleveland had a 39-18 scoring advantage on fast-break points. Pacers: Sabonis had 12 points and 15 rebounds. 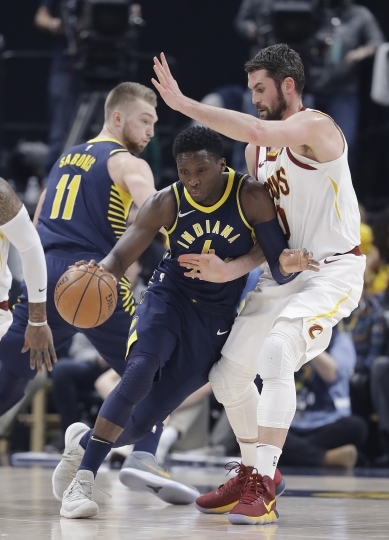 ... Indiana has won three of its last four and has beaten Cleveland three times in one season for the first time since 2013-14. ... The Pacers were 10 of 21 on 3s just two days after going a season-worst 1 of 18 from beyond the arc. ... Indiana is 17-5 when making 10 or more 3s in a game. The Cavs played without four guards: Isaiah Thomas, Dwyane Wade, Derrick Rose and Iman Shumpert. 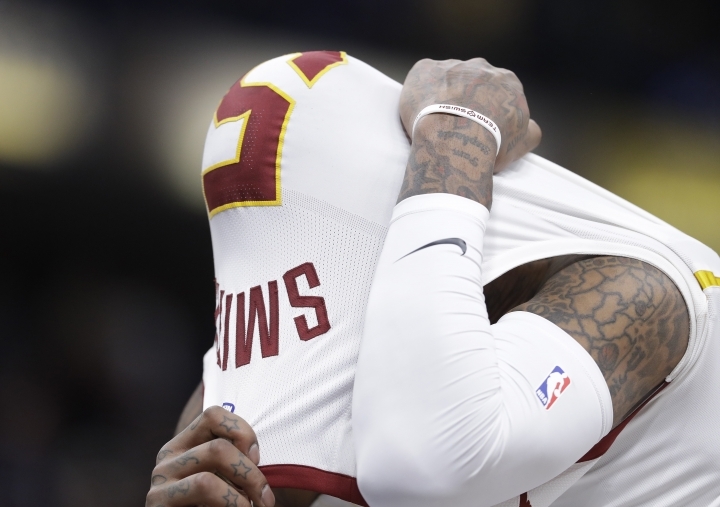 While Rose and Shumpert continue recovering from injuries, Cleveland coach Tyronn Lue decided to give Thomas and Wade extra rest because of the back-to-backs. Indiana played without starting center Myles Turner for the second straight game. Turner has been out with an injured right elbow. Cavaliers: "We come out with low energy in the fourth quarter," James said. "We had a lot of energy in the first half. In the third quarter, we didn't exert as much as we did in the first half and we let them get back into the game." 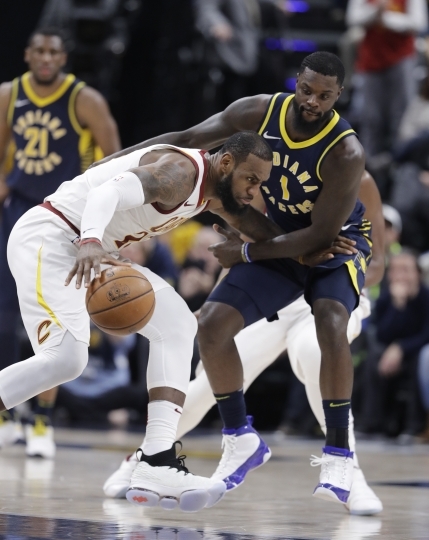 Pacers: "You can't play regular defense on him," Stephenson said, referring to James. "You've got to get on him and try to get into him." Cavaliers: Host Golden State on Monday. Pacers: Begin a five-game road trip at Phoenix on Sunday.